This year I was way behind with getting my mantel decorated for summer! I had a few things up for Easter, and then adjusted it for spring, but as the summer rolled around, I kept walking by my Push Pin Art “Spring” sign and never took it down! 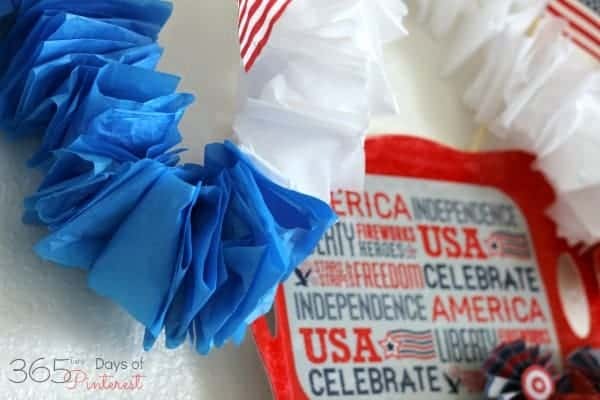 Finally, the week of July 4th, I made myself sit down and put together an easy tissue paper garland. 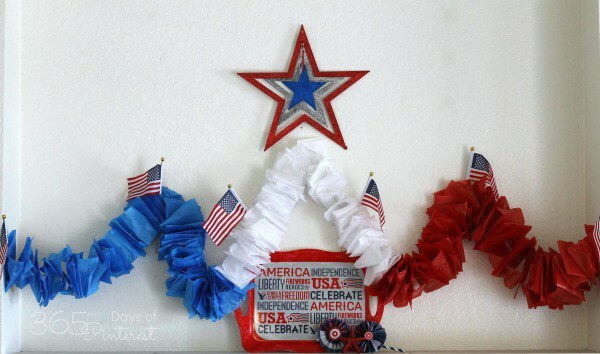 I like to use red, white and blue all summer long, so my Independence Day decorations usually last from June-August. 🙂 These garlands cost next to nothing to make and you can string together a pretty large one in less than thirty minutes. 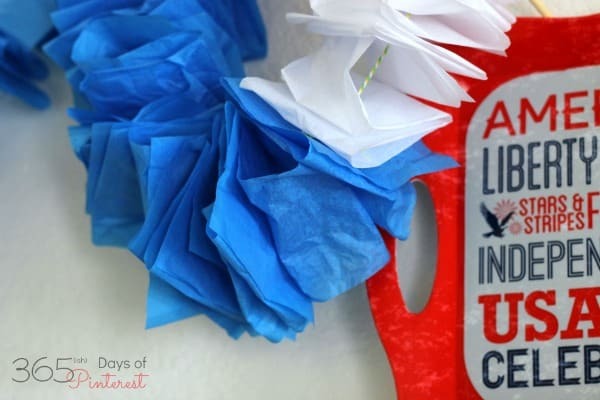 I chose red, white and blue tissue paper, but I like the idea of using colors to match any party theme. It’s an extra little touch that draws things together nicely. Start by cutting a three or four inch strip off your tissue paper. The wider the strip, the thicker your garland will be. (The strip should run the length of your tissue paper.) I bought the tissue paper packages at the dollar store, and there were 25 sheets in a package. If you want a longer garland, just cut another long strip. Take one piece of tissue paper and fold it onto the needle as shown. You are folding it over, piercing it onto the needle, and then folding back again. Keep adding pieces until you use up the tissue. As the needle gets full, gently push the paper down onto the string. After I started the first few pieces, I could stand the needle up a bit and it was easy to quickly fold the paper over and pierce it. 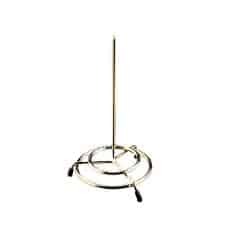 It reminded me of those deadly looking things the secretary’s used to have on their desks for messages. Remember those? 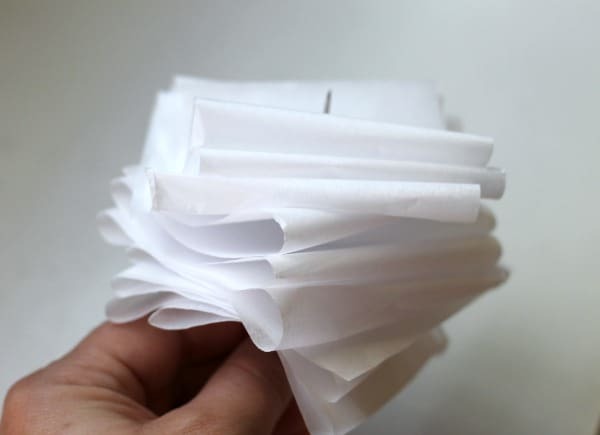 After you have all your tissue paper threaded, just spread it out and fluff up your ruffles a bit. I found that they looked best when I reached my hand inside the ruffle and spread it wide across my fingers to make a nice round loop. I started with three separate strands, but I ended up tying the ends together to make one long garland for the mantel. I still need some summery stuff like sea shells or bright yellow lemons or something, but it’s a start!